Although I eat mostly paleo foods because it's doing good things for my autoimmune disease *does high five*, my kids don't eat 100% paleo. But I do try to get them to stay gluten-free, wherever I can. Just one problem. They HATE gluten free foods. 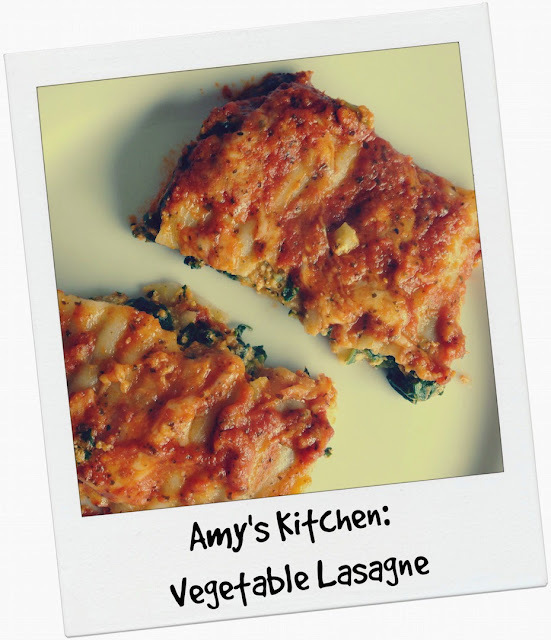 I was contacted by Amy's Kitchen to see if I would like to try some of their range of gluten-free and vegetarian foods. And, seeing as the children seem to be able to sniff out and identify a gluten free meal from a mile away (and they don't always like it) I thought it would be a good experiment, especially as the delivery coincided with Coeliac Awareness Week here in the UK (11-17 May 2015) and National Vegetarian Week the week after (18-24 May). 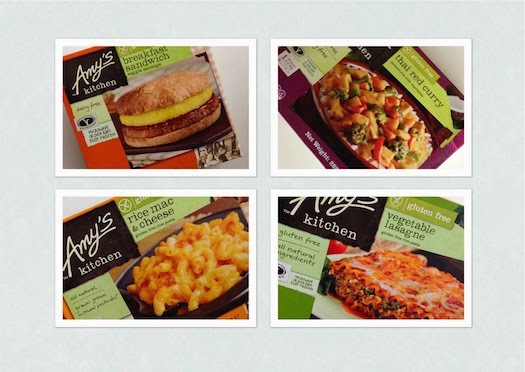 Although I always generally cook everything from scratch, I can see that there's a market for ready meals that cater for allergies and food intolerances. It's quick and convenient and if you're a busy family with people coming in and out in the evenings just before you pop out to Zumba or whatever then this kind of thing is going to be useful from time to time. 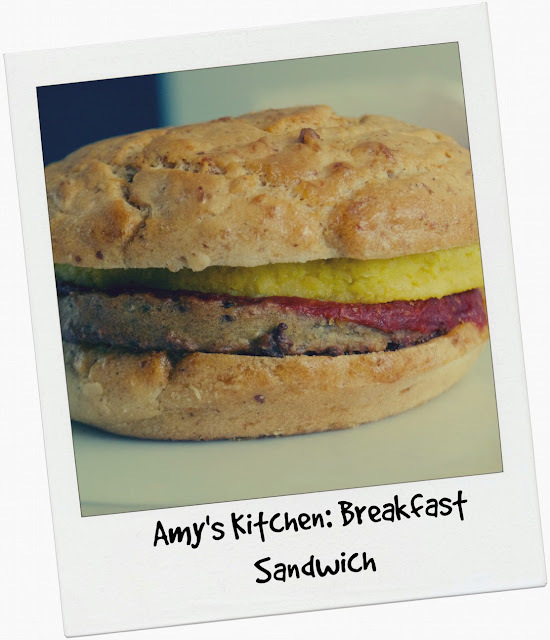 First up was the breakfast sandwich, which they had a nibble of as we sliced it into quarters before school. After a few minutes in the microwave (handy) the bun was still sturdy, but soft and with a chewiness that was kind of addictive. Because it's a vegan sandwich, the 'egg' part was actually tofu, with a veggie burger that tasted earthy and herby with a bit of curry (that'll be the turmeric). There was a smidge of richly-flavoured tomato sauce in there, too. They loved it. And didn't guess that it was gluten free. For me though, it did taste a bit salty. Great. Next. 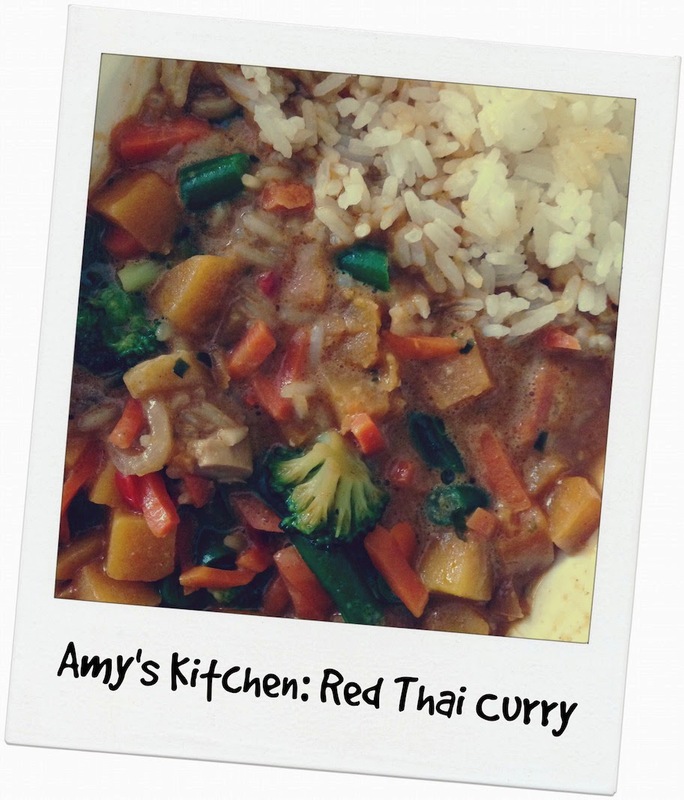 Next up was the Red Thai Curry. I was actually worried about this one, thinking it might be too spicy, but it wasn't. I tasted a spoonful before I passed it over to them. It came with a small portion of Jasmine rice, which was pleasantly and rightfully soft and bouncy. The only thing they weren't sure about was the small tofu chunks in the sauce, along with the veggies, but then we don't eat tofu as a family, so they didn't know what it was. Obviously the curry is gluten free and also dairy free too. It was sweet, but pleasant. Not spicy. Win number 2. 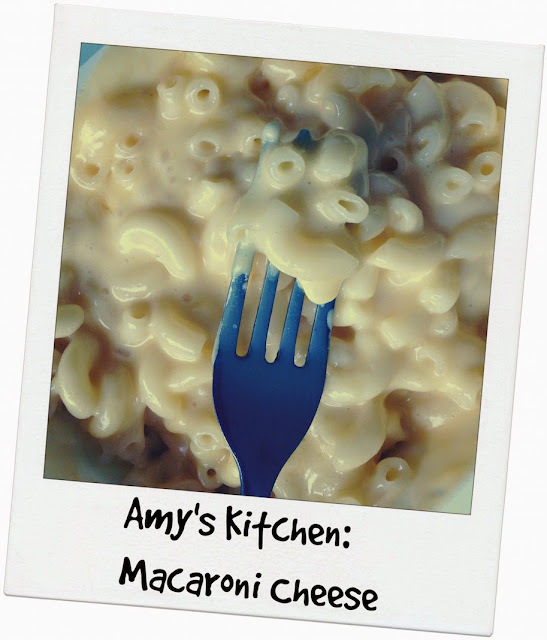 Macaroni cheese is their favourite dinner, and I only cook it for them - using mozzarella cheese and creme fraiche - about once a month. So they were quite excited one dinnertime when they saw this coming out of the kitchen towards them. "It smells like rice pudding," said my 6-year old. I have an ongoing struggle with my girls when it comes down to gluten-free pasta. The texture and flavour is just nothing like the regular stuff. But smothered in a cheese sauce, would they notice? Yep. They both agreed it didn't taste like rice pudding after all. "Is this gluten free?" called out my 9-year old. Yep. Yep, it is. They still schnaffled up the lot. Finally, they tried the lasagne. It took a little bit longer to heat thoroughly than it said on the pack, but that was a minor thing. They didn't ask me if it was gluten free and they ate it all up, asking for seconds. It had a rich flavour, with plenty of cheesy sauce and topping. Basically, my two children HATE anything gluten free. I tempted them after school one day with some gluten free scones, with lots of enthusiasm, dishing it up with lashings of butter and jam. My nine-year old took a bite, made a face and refused to eat the rest. My six-year old followed suit. But they did like these meals, only guessing that one of them was gluten free. As I mentioned, I usually will cook everything from scratch, because what I eat for dinner, they usually eat with me. But these freezer meals would be handy if you are feeding one or two people in the family that are coeliac or otherwise have a gluten intolerance. You don't have to worry about cross-contamination, and in a rush you can whip one out of the freezer and cook it in just a few minutes. And, amazingly, my children actually liked them (they don't usually). They are made from ingredients you'd probably have at home - I didn't see anything in there that was artificial or that I couldn't pronounce. But, I couldn't help but be slightly concerned at the saltiness of the foods. Obviously they're not marketed at children specifically, but if, as an adult, your allowance for the day is 6g of salt and one of these smallish meals packs almost a third of that then it's obviously not for every day. But, then, this is typical of ready meals in general. But if you're looking for a gluten free, vegetarian ready meal option to fill a gap occasionally in a busy week, then these, I think, wouldn't be a bad place to start.